state agency you must retain the record for the allotted time, even if it is longer than HIPAA mandates. Processing medical records electronically allows businesses to move faster and function more efficiently, reducing administrative costs. It is less expensive to store patient records electronically. Immediate access to patient information reduces the opportunity for medical errors. Compliance is insured through digital storage systems. Check out this article on, The Cost of Medical Records Scanning, to gain a better understanding on the price and the ROI of the project. Full patient history- This can include patient history and lab results. Multiple records access- Several different personnel can access different aspects of patient records at the same time. Remote access- Users can log in over a secure Internet connection to access the data from anywhere. Patient referrals- Know where patients came from and who you recommended them to. Cross-checking prescriptions- This gives a doctor the ability to check for patient allergies and drug interactions, and comparing the drug to symptoms reported. Insurance fee schedules- Real-time information into what the patient’s insurance covers. Reporting capabilities- Generate useful reports for patient data, prescription inventory, appointment history, and more. Secure access- Use SSL technology to protect sensitive and confidential patient information and comply with HIPAA regulations. When picking an EHR system make sure you are picking the right system for your practice or needs. Reference this article for a list of questions physicians like you wish they had known to ask before converting to an EHR system. 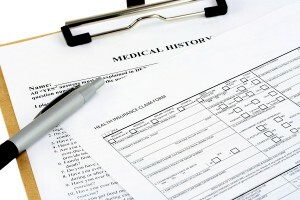 Record Nations can help with Medical Records Retention & Storage! Record Nations has been providing document management solutions for over a decade. Our experts will help you maintain your records storage needs regardless of format. We can help you manage your hard-copy records, and even guide you through the transition to a paperless office. Let us help you find the right document storage solution for your business. To get started, fill out the form on the top right of this page, or give us a call at (866) 385-3706. Within minutes, you’ll have several companies in your area to choose from.